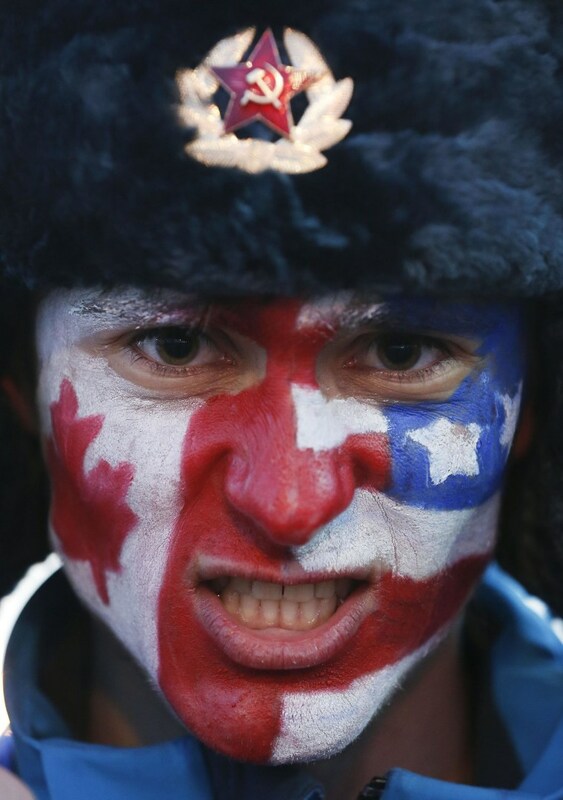 A hockey fan shows off the flags of Canada and the USA painted on his face before the men's semifinal ice hockey game between the two countries at the 2014 Winter Olympics on Friday. The teams face off at the Bolshoy Ice Dome to decide who will go on to play for a gold medal in the ice hockey finals against Sweden. Watch the game streaming live at NBC Olympics.